Jaish al-Adl group claimed responsibility for the roadside bomb attack, which came on the day of a US-led conference in Warsaw that included discussions on what America describes as Iran's malign influence across the wider Mideast. In 2009, more than 40 people, including six Guard commanders, were killed in a suicide attack by extremists in Sistan and Baluchistan province. Jaish al-Adl emerged as the main armed opposition movement in the southeast after members of another Sunni group, Jundullah, joined it after their leader was captured on a plane in 2010. 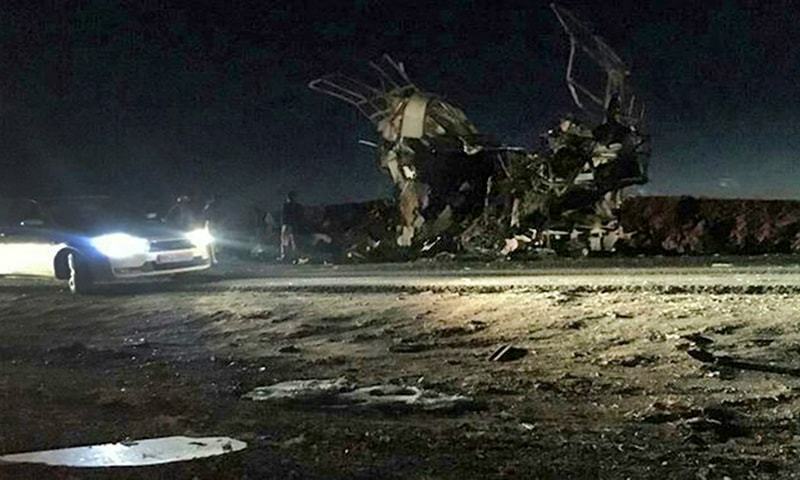 Neighbouring Pakistan condemned the suicide attack, "Shocked and grieved to hear about the suicide attack on IRGC bus near Zahidan today, in which many lives were lost", Foreign Office spokesperson Dr Mohammad Faisal said in a statement. President Donald Trump, who campaigned on a promise of tearing up Tehran's nuclear deal with world powers, withdrew the USA from the accord last May.